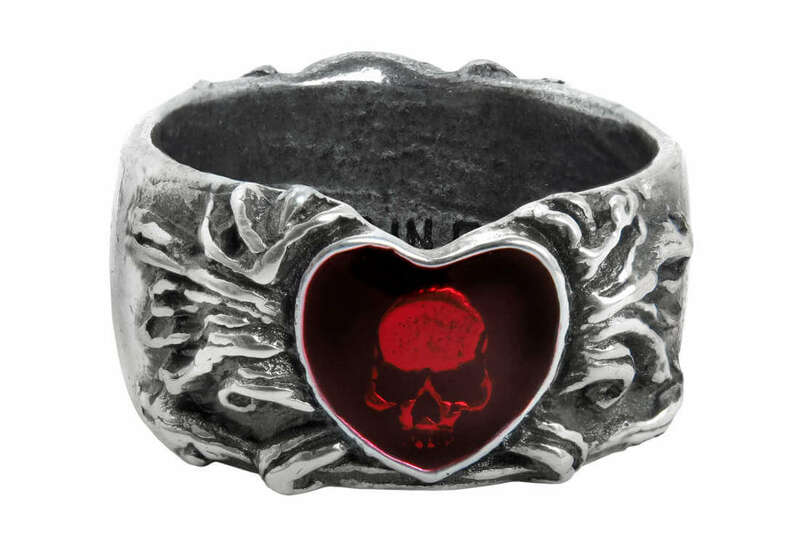 Double-sided ring of love, pain and sorrow. 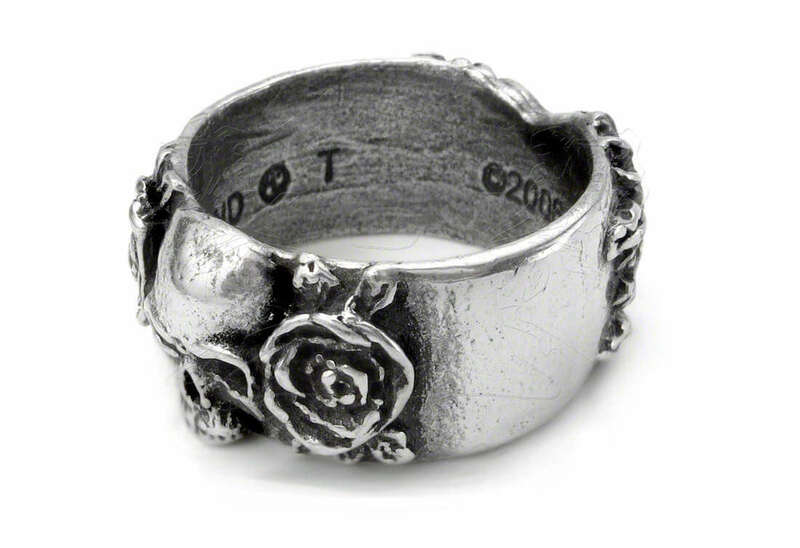 On one side of this beautiful ring is a pewter skull surrounded by roses. 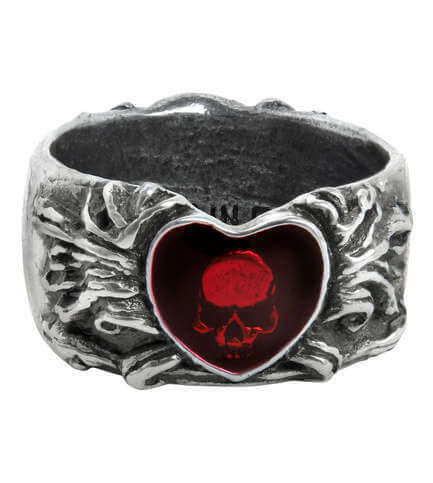 On the other is a heart filled with blood red enamel allowing a deep-set skull in the center to peer through. By Gothic Alchemy. I got this ring for my fiancé after seeing it online awhile back and I must say it is even better looking in person! I own several AG pieces and they never disappoint.The only con is the ring was too small so I have to send it back.